MELBOURNE, October 2011 – Holden is the Australian brand of General Motors. 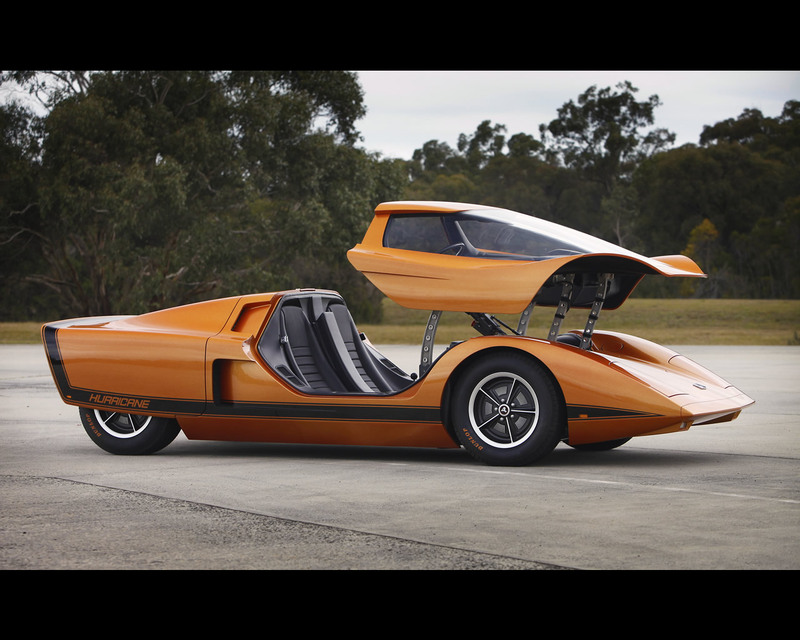 Holden has gone back to the future, restoring its first concept car – the 1969 Holden Hurricane. The futuristic research vehicle described as an experiment “to study design trend, propulsion systems and other long-range developments” has been restored to its former glory by a dedicated group of Holden designers and engineers. 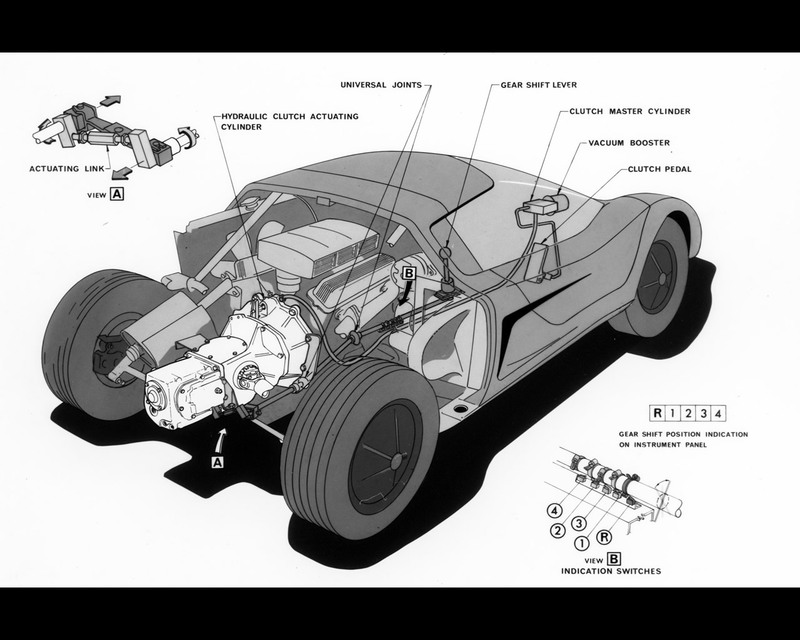 Codenamed RD 001, the Hurricane is a mid-engine, rear-wheel drive, two-seat sports car incorporating a remarkable array of innovative features and technology, much of it years ahead of its time. Features such as electronic digital instrument displays, station-seeking radio, automatic temperature control air conditioning, rear-vision camera and an automated route finder were all showcased in this ground-breaking vehicle 42 years ago. 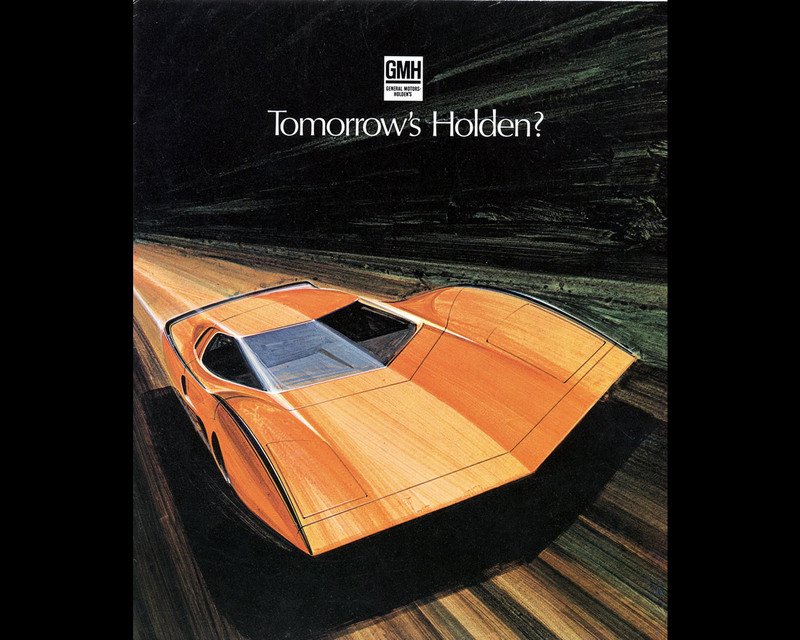 Many of these technologies have only recently made their way into mass production, demonstrating Holden’s remarkable foresight into both design and engineering technology. The Hurricane stole headlines and dropped jaws nationwide when it debuted at the 1969 Melbourne Motor Show. Michael Simcoe, executive director GMIO Design, said it was fantastic to see such a significant vehicle restored. As its code name suggests, the RD 001 was the first product of the GMH Research and Development organization, staffed by a small squad of engineers working in conjunction with the Advance Styling Group at the Fishermans Bend Technical Center in the 1960s. The team that designed and built the original Hurricane employed some advanced technologies and techniques when it came to the powertrain. Powered by an experimental 4.2-liter (253-cubic-inch) V8, this engine was a precursor to the Holden V8 engine program which entered production in late 1969. The Hurricane’s V8 engine featured many advanced design components such as the four-barrel carburettor – a feature which wouldn’t be seen on a production 253ci Holden V8 until the late 1970s. The end result was approximately 262hp (193kW), a towering power output in 1969 and one that ensured the Hurricane had the go to match its show. Perhaps the most innovative features were the “Pathfinder” route guidance system and the rear-view camera. The “Pathfinder”, essentially a pre-GPS navigation system, relied on a system of magnets embedded at intersections along the road network to guide the driver along the desired route. A dash-mounted panel informed the driver of which turn to take by illuminating different arrows, as well as sounding a warning buzzer. The rear view camera was also a ground-breaking innovation. Engineers using a closed-circuit television system with a camera mounted in the rear bumper feeding a small black-and-white TV mounted in the center console. Former Holden Chief Studio Engineer Rick Martin led the modern-day Hurricane team in researching the vehicle’s components, systems and history. “There are some genuinely remarkable ideas and technology in the Hurricane,” Martin said. 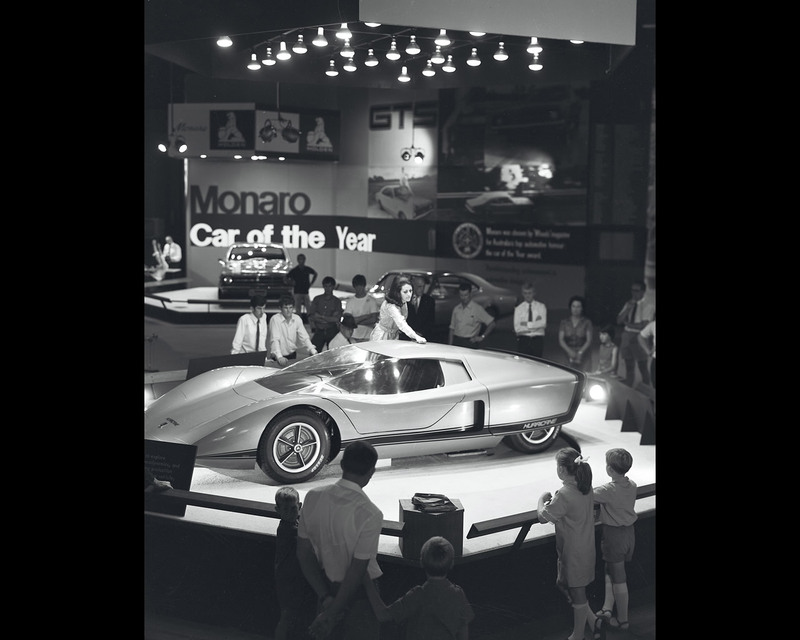 “From the automatic air-conditioning and magnet-based guidance system, to the inertia-reel seat belts and metallic paint, this was a car that was genuinely ahead of its time. RD 001 stands just 990mm high and has no conventional doors. A hydraulically powered canopy opens upwards and forward over the front wheels, combined with twin “astronaut type” power-elevating seats which rise up and pivot forward, along with the steering column for ease of access. Occupants are then lowered to a semi-reclining position before the roof closes over them. 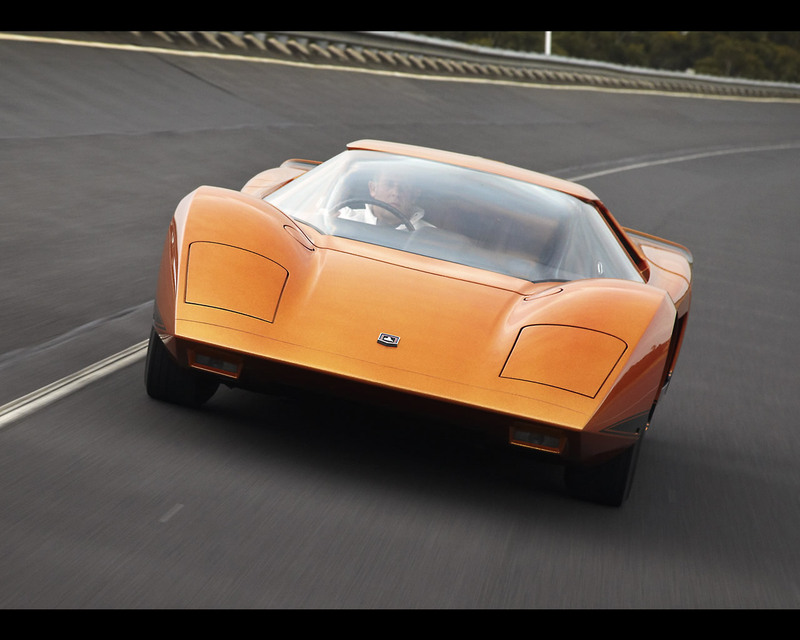 The wind tunnel-tested fiberglass body consists of three segments; the canopy, the engine hood and body shell and was finished in an experimental aluminium flake-based metallic orange paint. Safety innovations included a foam-lined fuel tank, integrated roll-over bar, digital instrument readouts, ignition safety locks, interior padding and a fire warning system. The project to restore RD 001 began in 2006 and has been a genuine labor of love for some very dedicated Holden designers and engineers volunteering thousands of hours of their time..
Paul Clarke, Holden’s manager for Creative Hard Modelling, has been largely responsible for managing the restoration. He ensured as many of the original parts as possible have been used or remade using modern techniques to 1969 specification. Since the debut of the Hurricane in 1969, Holden has built a global reputation for envisioning and executing world-class concept vehicles. Holden is recognized globally within General Motors as a center of excellence for concept vehicle and show car development and is one of only three GM design studios capable of designing and building concept cars.